Sonoma County Sheriff Robert Giordano. Homan implied that an undocumented immigrant named Jesus Gonzalez started the deadly North Bay fires, and went on to criticize the Sonoma Sheriff's office for not honoring a detainer that ICE sent the local agency to have Gonzalez held so immigration agents could arrest him. His comments led to multiple inaccurate news reports on right-wing outlets. Gonzalez was arrested by the sheriff's office on Oct. 15 after he started a fire in Maxwell Farms Park in Sonoma Valley — seven days after the deadly fires started. He's currently being held by the sheriff and faces felony arson charges. The sheriff pointed out, however, that there is no evidence that the fire Gonzalez started was linked to the deadly blazes that broke out on Oct. 9 across Sonoma, Napa, Lake, and Mendocino counties. CalFire is currently investigating what sparked the blazes, but many believe it was due to high winds that knocked down power lines. 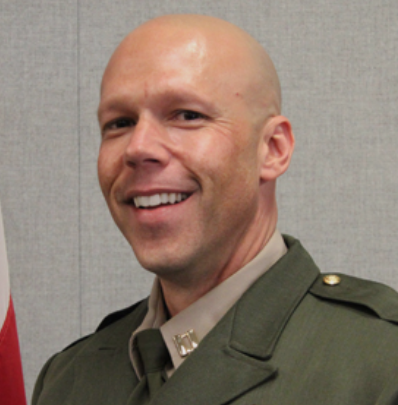 Homan complained about the Sonoma sheriff's position on ICE detainers, which are requests that a local sheriff hold someone in jail past the legally allowed time they can be incarcerated so that ICE can pick them up on immigration charges. "The residents of Sonoma County, and the state of California, deserve better than policies that expose them to avoidable dangers. Non-cooperation policies – now enshrined in California state law – ensure only one thing: criminals who would otherwise be deported will be released and left free to reoffend as they please." Giordano pointed out, however, that multiple federal courts have ruled that ICE detainers violate people's constitutional rights and expose local police to lawsuits, therefore his agency doesn't honor them. He questioned why, if ICE views Gonzalez as a danger to the community, the agency doesn't simply obtain an arrest warrant. "ICE attacked the Sheriff's Office in the midst of the largest natural disaster this community has ever experienced." As the Express has previously reported, this isn't the first time ICE has spread misinformation about immigration matters. For example, ICE issued a report earlier this year that was designed to attack sanctuary jurisdictions for not honoring detainer requests, but the report was riddled with bad data, including inaccurate claims about the Alameda County Sheriff's Office. In August, ICE conducted a raid in West Oakland that was supposedly based on a criminal investigation. But the only person arrested hasn't been charged with a crime. And Oakland Police Chief Anne Kirkpatrick has repeated ICE's false statements about the raid in defense of her decision to provide patrol officers to assist in the operation. In addition, the Intercept reported this week in an investigation that ICE, under the direction of the Trump administration, is now regularly referring to undocumented immigrants as "criminals" in cases when they've been detained on civil immigration matters and have not actually been charged with a crime. Also, earlier this year, Santa Cruz police officials said ICE agents lied to them about an immigration raid there. ICE's attack on Giordano is just part of the agency's larger hostility to California. After passage of SB 54, the so-called state sanctuary law, Homan said his agency would "have no choice but to conduct at-large arrests in local neighborhoods and at worksites," and to move detainees to out-of-state jails where their families will have a difficult time visiting them.